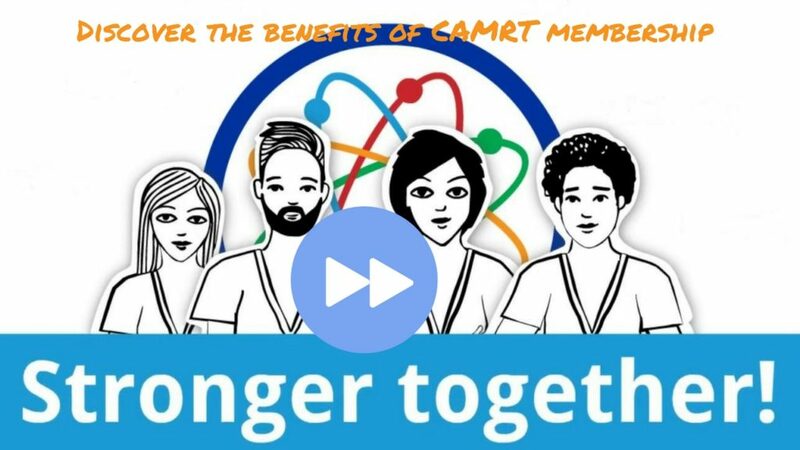 The CAMRT is the national voice for MRT professionals, fostering understanding between the profession, the public and government; and encouraging collaboration with industry and other healthcare organizations to promote professional excellence in all disciplines of the profession. We work on your behalf to represent and advocate for you and the profession on critical issues. We deliver member services that provide value for money and that support and advance your professional practice. We are transparent and accountable to you through regular communication throughout the year, as well as at year-end through the CAMRT’s annual report and the Annual General Meeting. The CAMRT and your provincial organization work together for you, our members. Membership is processed through your provincial organization – please contact your provincial organization to join. MRTs practicing in Quebec, Alberta, British Columbia, Newfoundland & Labrador, Saskatchewan, PEI, Nunavut, Northwest Territories, Yukon and outside of Canada should contact the CAMRT directly to join at 1-800-463-9729 ext. 225 or email membership@camrt.ca.